For generations the leasing vs buying debate has been prevalent among automotive enthusiasts and casual drivers alike. We thought we’d take a moment and give you a closer look at the benefits of both. 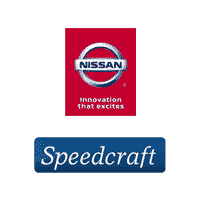 If you’re still unsure which option would be best for you, stop by Speed Nissan and speak with a leasing specialist. You’ll leave with a better understanding and a list of best options based on the discussion! Another important aspect of the leasing vs. buying debate you must consider, the opportunity for newer Nissan models as they become available. If you opt to lease a vehicle from Speedcraft, when your term is up you’re given the chance to lease again, sell us your car, or simply turn it in. or more efficient car in a new agreement; that’s an option that people who choose to buy are rarely afforded. If you’re looking to lease or buy a new Nissan vehicle, you can find exactly what you’re looking for with us. Feel free to contact us at any time if you have any questions and be sure to stop in and see us if you want to get behind the wheel of your new favorite car!